We recently returned to the UK for a long spell, and I’ve exploited the opportunity to explore my parents’ collection of books. There are endless books here, ranging from old classics to mid/late-twentieth-century poetry, novels and non-fiction. Many were inherited from grandparents and earlier generations, and some of them are the kind of thing you’d never want to read, or are gently crumbling away, but most of them are sound and worth looking at if only one had another lifetime. I’ve pulled out a few and plan to post them below – not necessarily because they are especially unusual, or valuable, but because I like them or find them interesting in some way or other. Copyright is attributed to the best of my abilities. 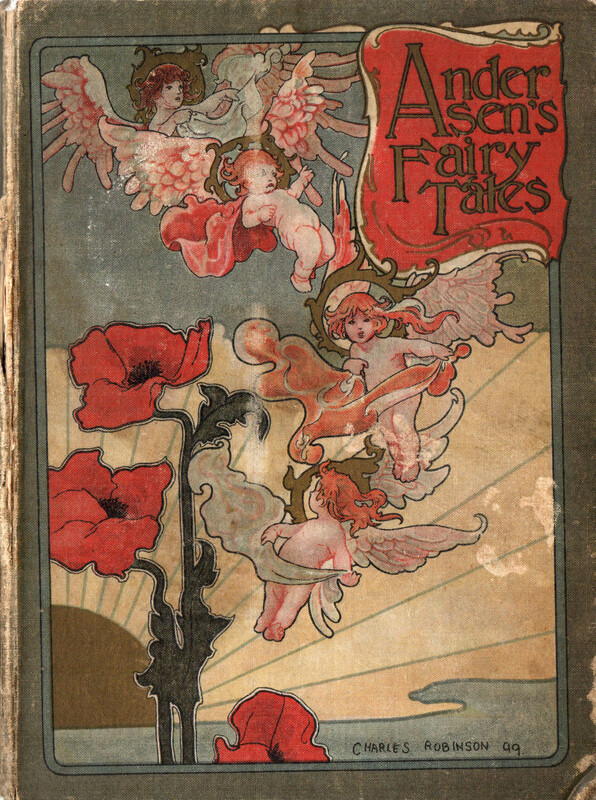 As everyone knows, the original Andersen tales are a lot grimmer (or should that be Grimm-er?) than the sanitised Disney versions. Take ‘The Rose Elf’, for instance: murder, decapitation, poison darts . . . The Robinson brothers share the illustration more or less evenly through the book. 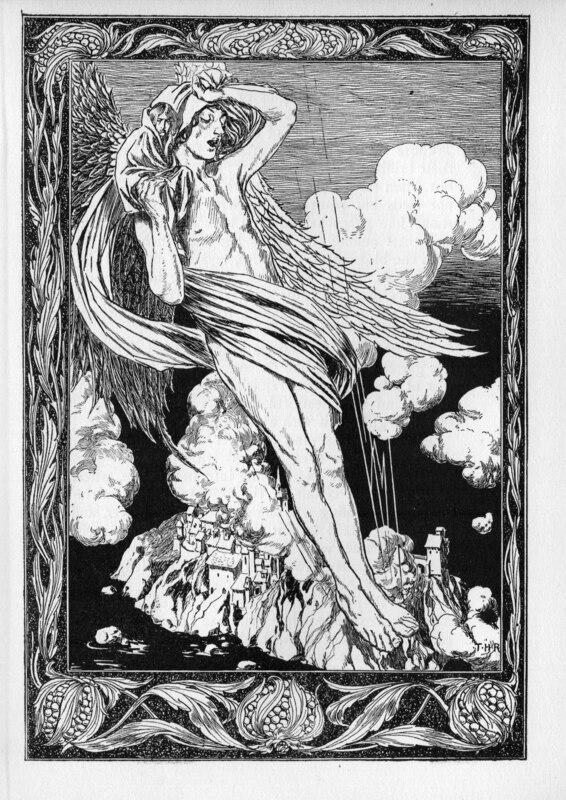 This is a broad generalization but Charles has the more stylized hand, leaning towards the Art Nouveau arabesques popular at the time, while his brothers are a little more naturalistic. Throughout, there is an element of grotesque that would strike readers of today as rather dated; but the occasional image has a way of reaching forward a century and looking very contemporary. 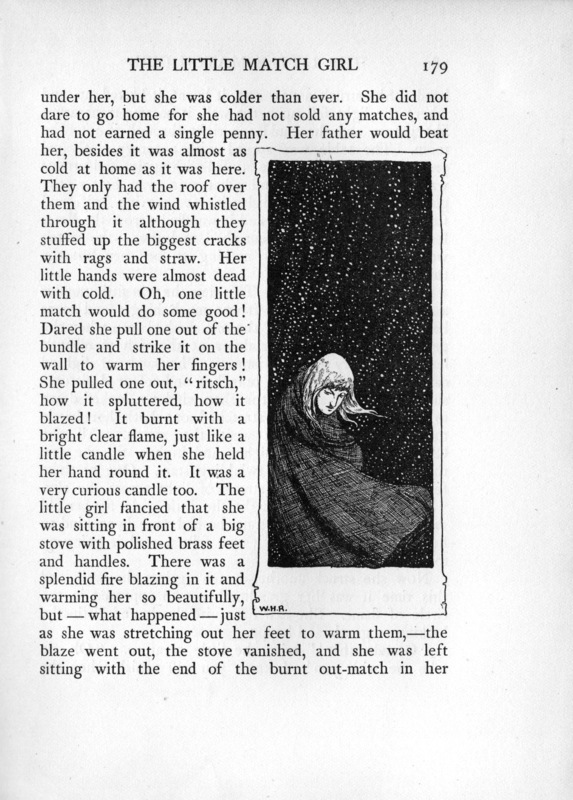 For example, the little match girl out in the cold could have been drawn last week by a manga artist. 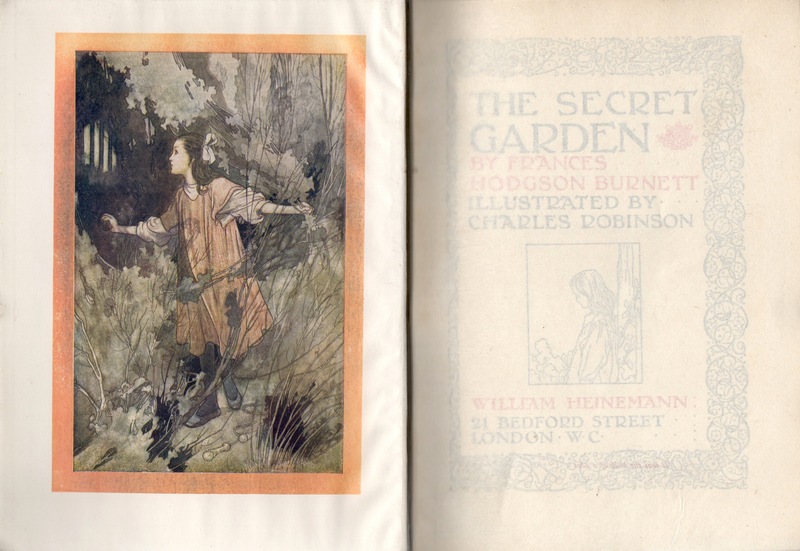 Charles Robinson also illustrated the 1911 Heinemann edition of Frances Hodgson Burnett’s The Secret Garden. 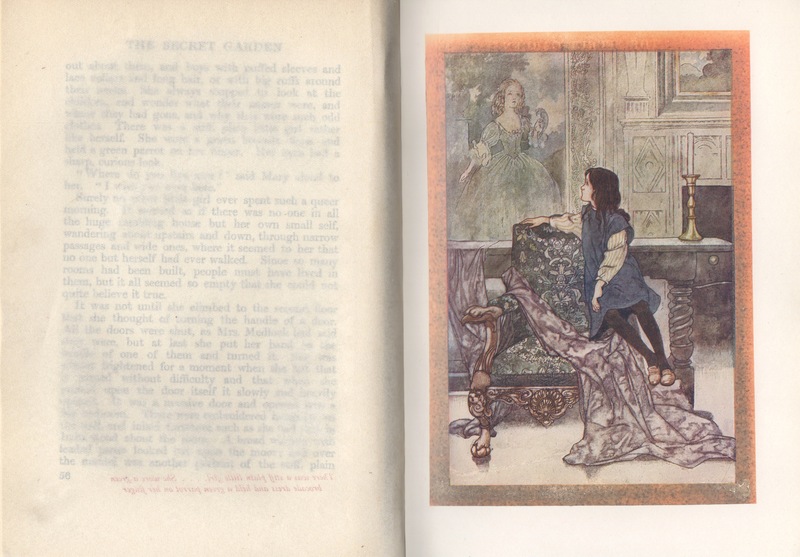 In this book the images are subtly coloured, and the captions are printed in tiny red type on the front of the glassine sheet protecting each plate; a neat trick I plan to copy one day. Book collections in the ‘smallest room’ are sometimes the best in the house: volumes that have either been hand-picked for their bite-size contents, or have simply ended up there because – well, I often take a book into the bathroom and forget to take it out again. Flotsam, if not literally. The other day I was – well, I was occupied, when I found a Slightly Foxed reprint of Edward Ardizzone’s memoirs of his youth. I have been looking for this book because I am a huge fan of EA, whose books entered my childhood shelf circa 1970 – which just happens to be when this lovely autobiography was first published. The writing is a series of fragmentary recollections – ‘pictures’, he calls them – from when he was about five, living in East Bergholt in Suffolk, to the point at which his career as an illustrator finally took off about three decades later. 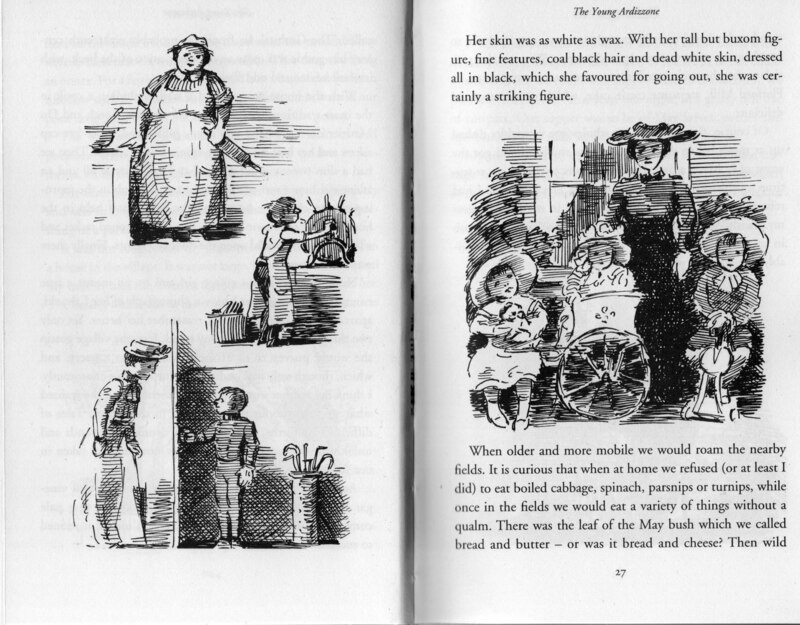 The book is illustrated throughout with pen sketches: the family cook, a feared grocery boy, a much-admired headmaster, a reconstruction of the moment he shot his sister in the behind with an air-gun . . . It is charming, can be read in a day, and – thanks to Slightly Foxed – now available again in this pocket hardback. 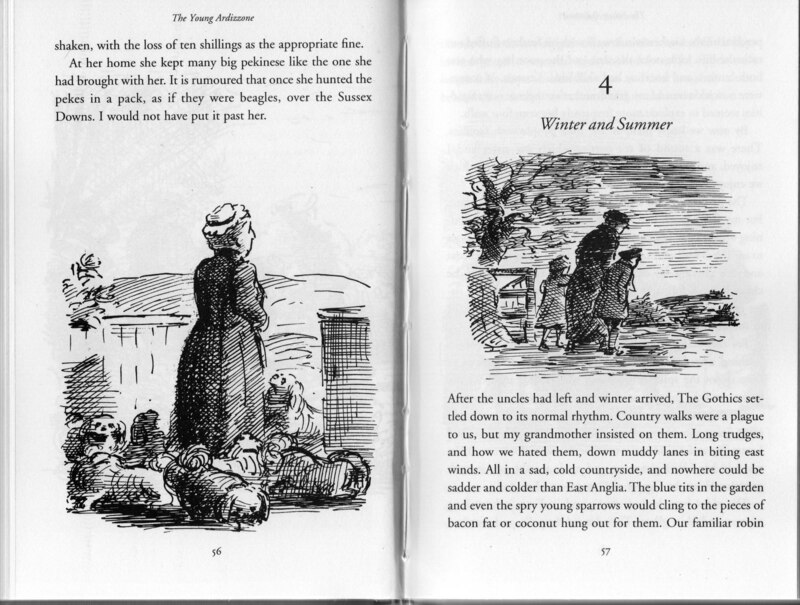 Copyright in illustrations and text: Estate of Edward Ardizzone. 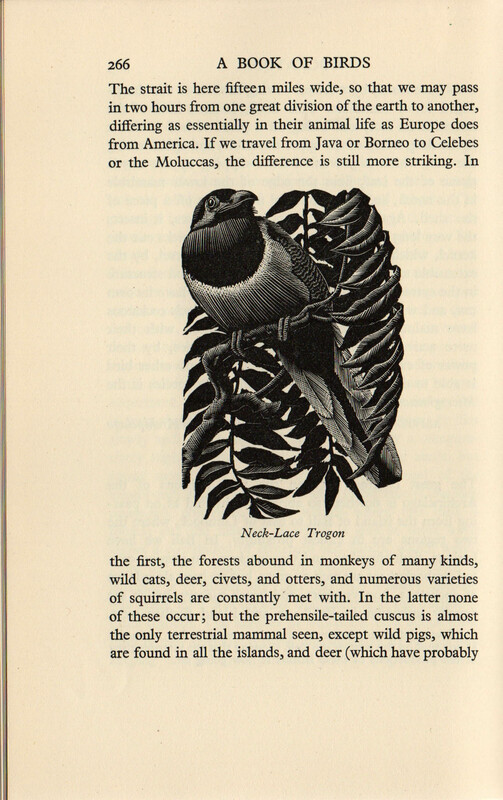 I’m embarrassed to admit that I had never heard of Charles Tunnicliffe before picking up this book, but having done a couple of minutes’ research I now realize that his work is familiar to me through the Ladybird books we had as kids. 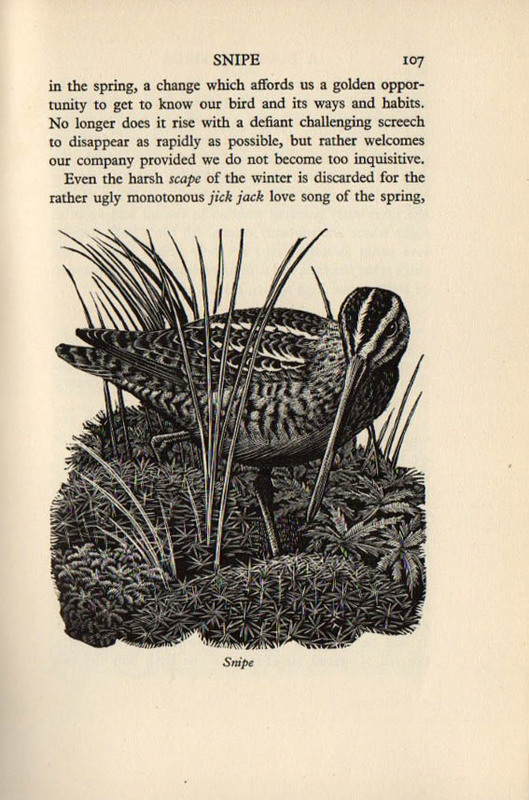 He illustrated, for instance, What to Look for in Autumn (and Summer, etc. ), creating homely vistas of the British countryside populated by redwings, robins, rooks, otters, farmers, heavy horses, elm trees . 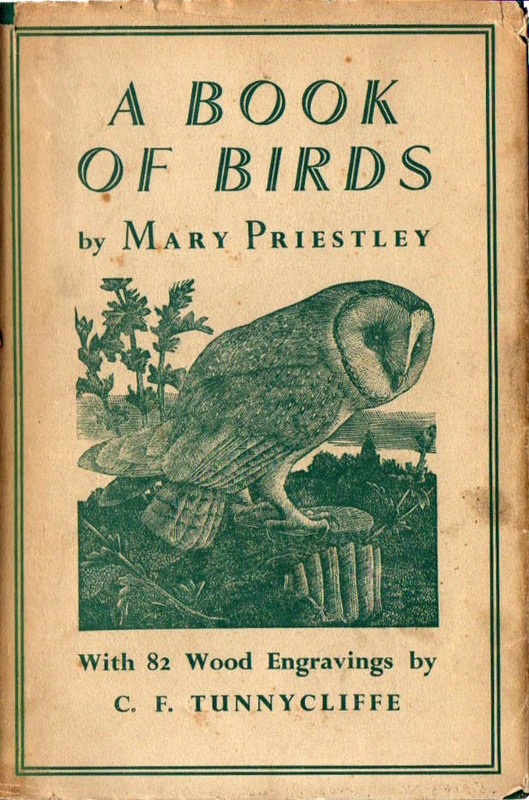 . .
Mary Priestley’s Book of Birds is a miscellany of writings on birds, to which Tunnicliffe contributed several handsome wood engravings. 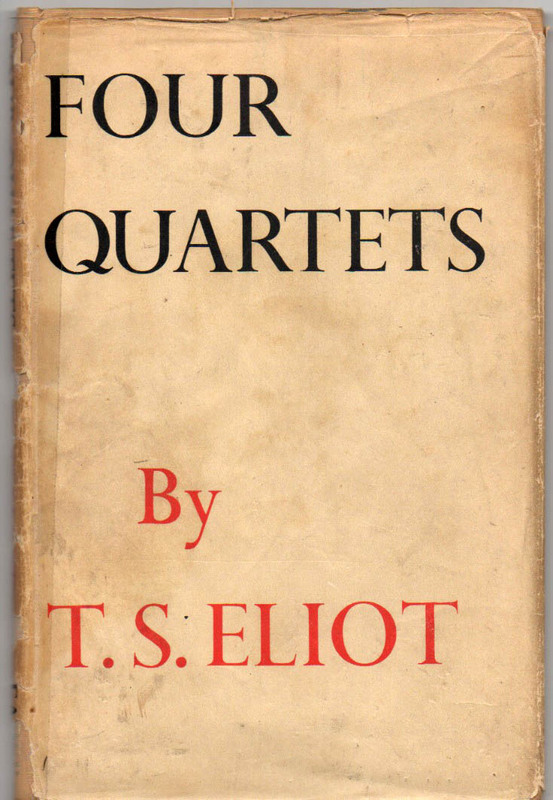 This copy is the original 1937 edition – there’s a clue in the fact that they misspelt his name on the cover – but the book has since been reprinted, so is widely available. 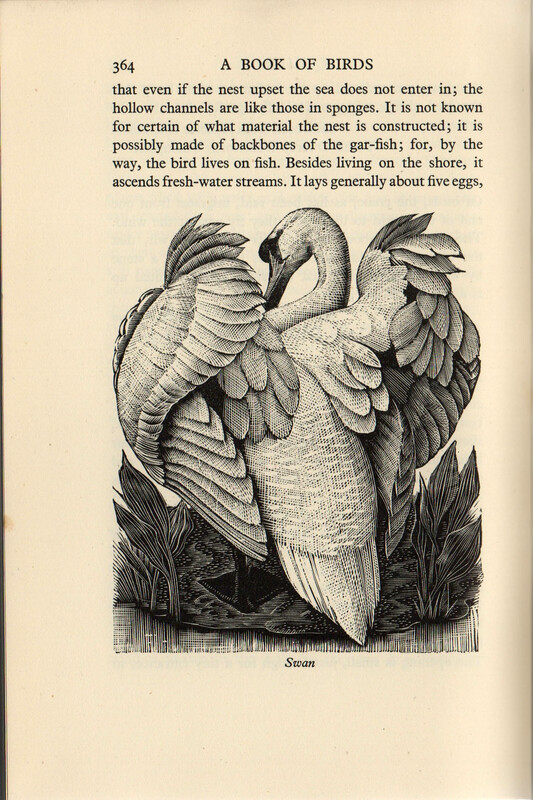 Copyright in illustration: Estate of Charles Tunnicliffe. 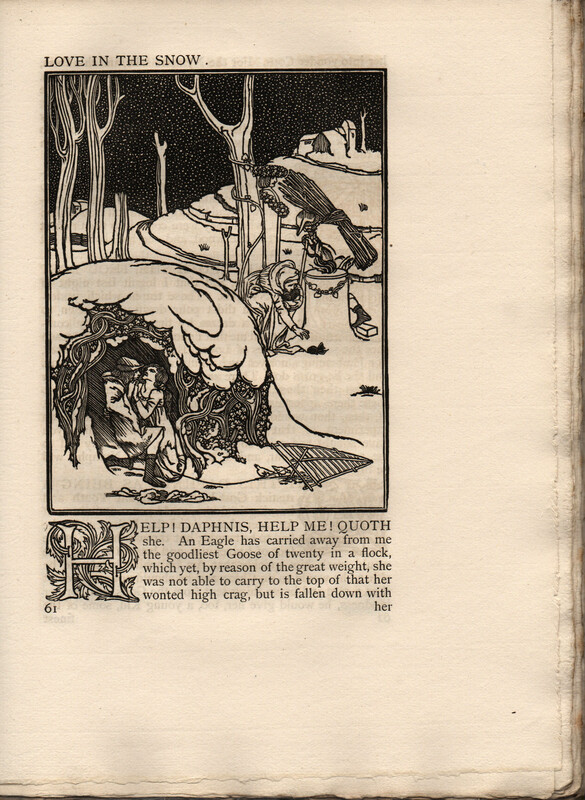 Artist, printmaker and publisher Charles de Sousy Ricketts was a founder of The Vale Press in London, among whose publications was this edition of Daphnis and Chloë, translated by George Thornley. 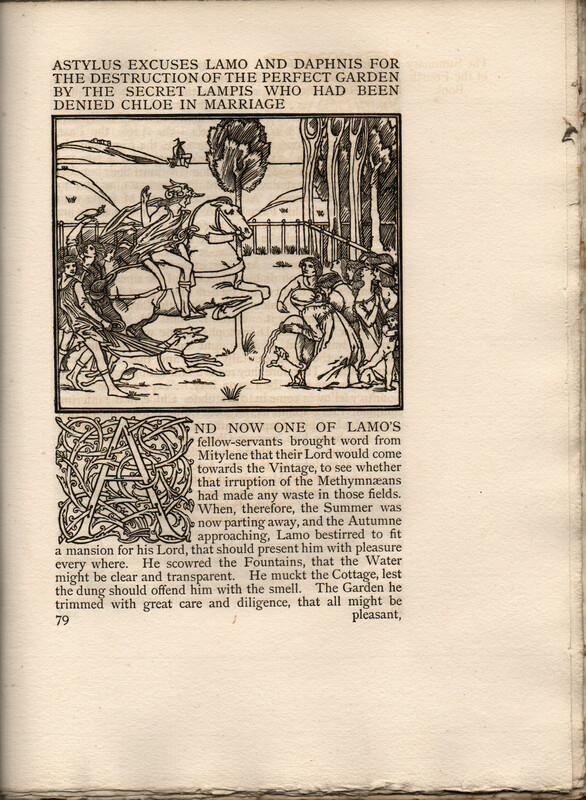 In its medieval stylings – the way a hanging page of text tapers to a centre, the ornate drop-capitals, the throwback illustrations – the book nods a bit to William Morris’s Kelmscott Press. It’s just beautiful. A curious tic is the way they set the first word of the following page in the right-hand corner (just in case you’d lost your thread while page-turning . . .). Ricketts made the prints from designs by he and his Vale colleague Charles Shannon. 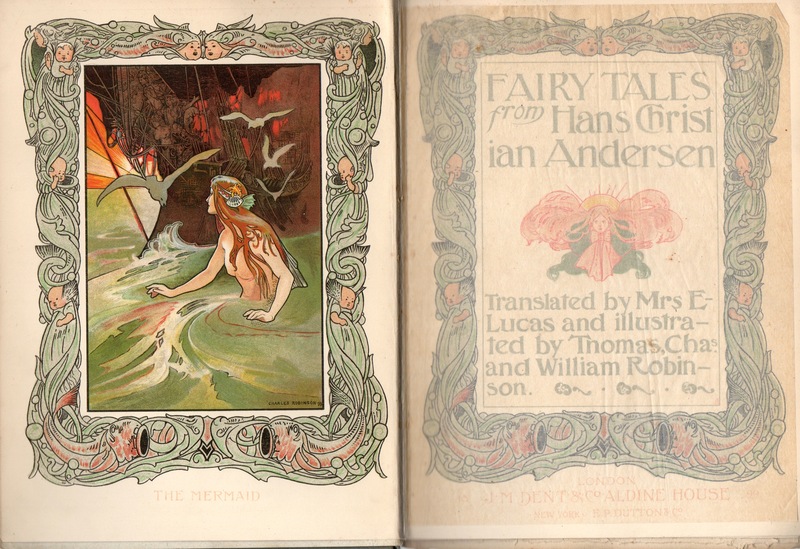 They (or rather, the Ballantyne Press) printed 210 copies of the book. 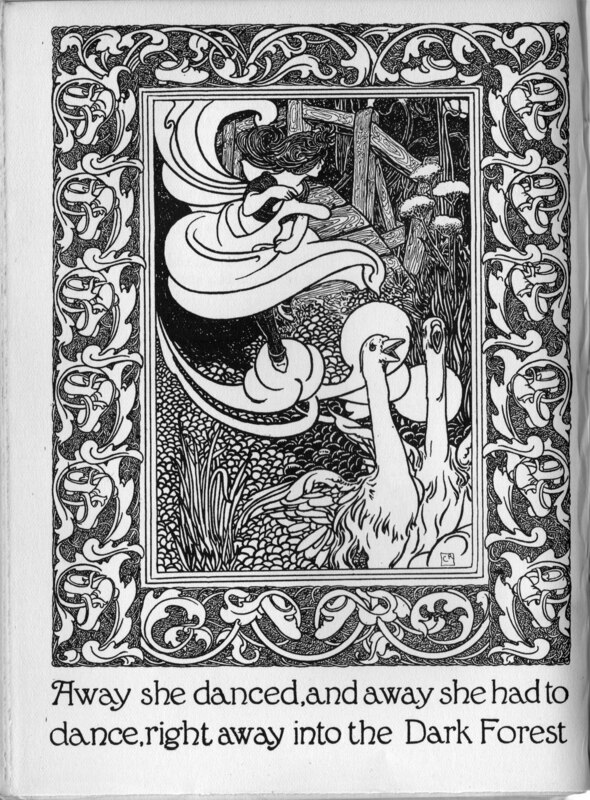 Ricketts also, along with Aubrey Beardsley, illustrated the works of Oscar Wilde: all very fin-de-siècle stuff. 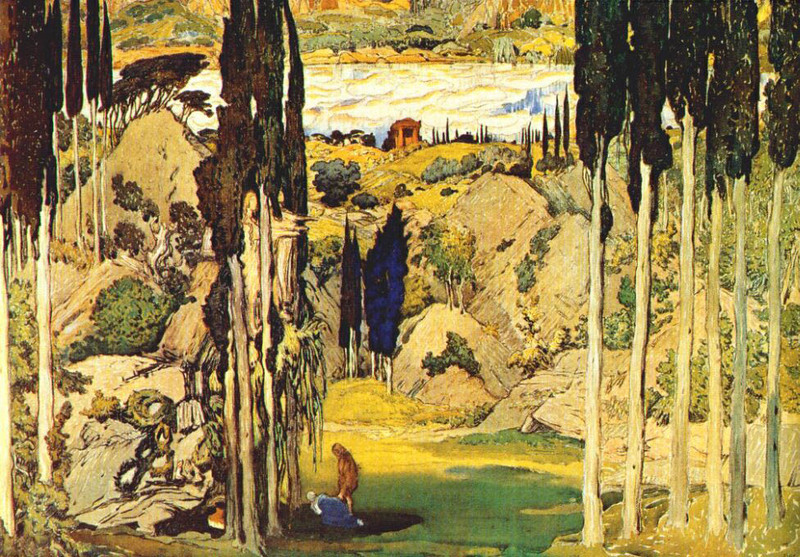 I got to wondering whether it was mere coincidence that Ravel wrote his own choral symphonic version of Daphnis et Chloë just fifteen or so years later. Here, for good measure, is the Leon Bakst set design for the 1912 ballet; to be honest, the Ravel work makes me feel rather queasy after a couple of movements, but Bakst I utterly love. 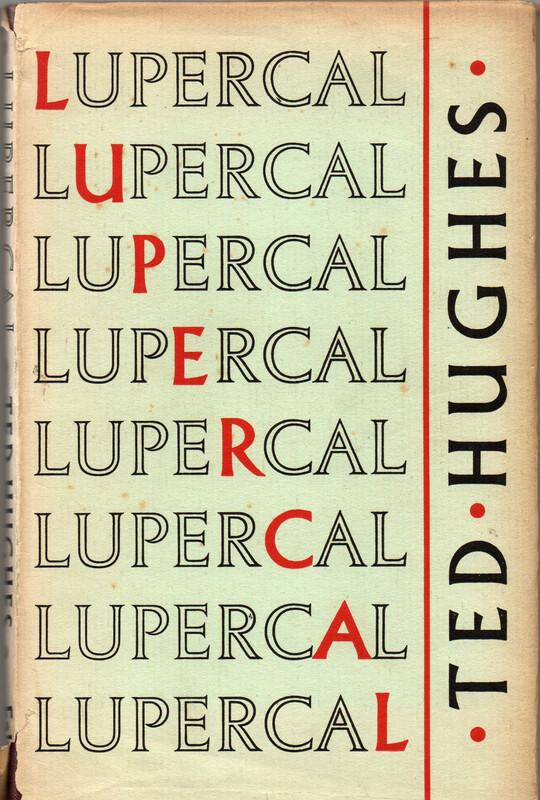 Speaking of Faber covers, Lupercal (1960) by Ted Hughes positively shouts the handiwork of Berthold Wolpe, with its Albertus font and bold ‘sator square’ composition. There are more of Wolpe’s Faber covers in these shelves – Philip Larkin, Sylvia Plath, etc. – and one of these days I’ll dig them out.